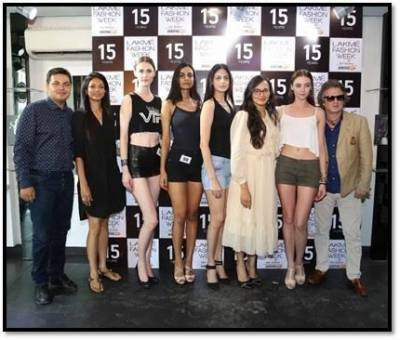 Having introduced some of the most successful and thriving names in the industry like Katrina Kaif, Yana Gupta, Mugdha Godse and Miss India World, Kanishta Dhankar, amongst others, India’s esteemed launch pad - the LFW Model Auditions were held in the capital. The initiative is a fundamental part of LFW’s commitment to constantly provide a footing for emerging runaway talent. The jury panel comprised of mix of fashion experts and exponents of the Indian fashion industry, such as top model Nayanika Chatterjee, fashion designer Rohit Bal, Purnima Lamba- Head of Innovations, Lakmé and Saket Dhankar, Vice President and Head- Fashion, IMG Reliance.